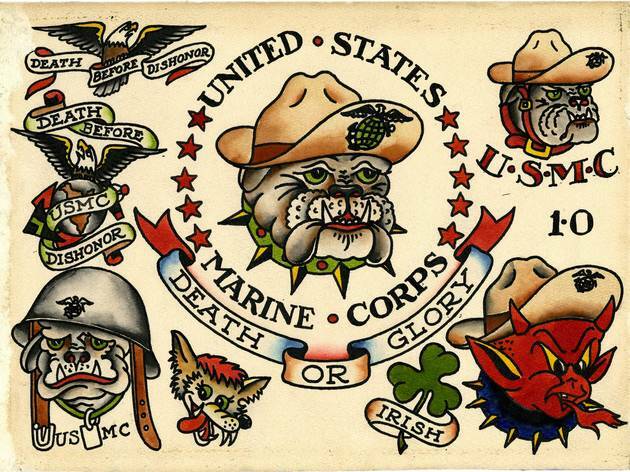 Marine Corps, Bull Dog, Etats-Unis / © Collection Sailor Jerry T.
After organising two exhibitions of 'outsider art' at the Halle Saint-Pierre, the team behind HEY! 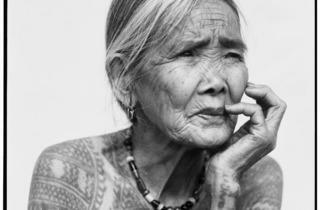 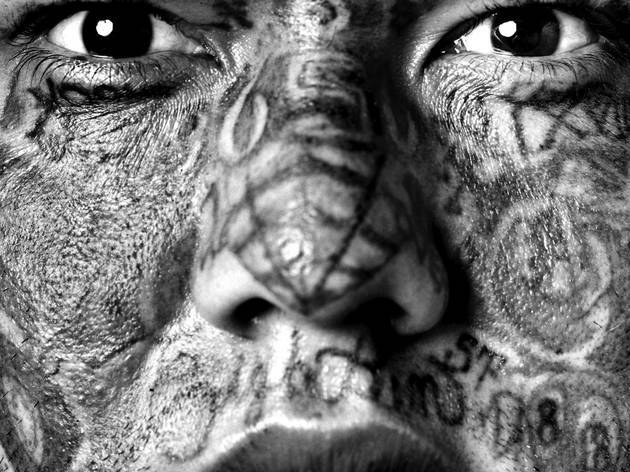 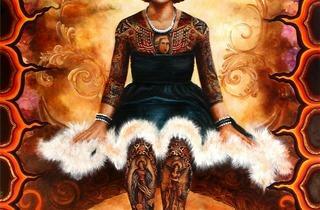 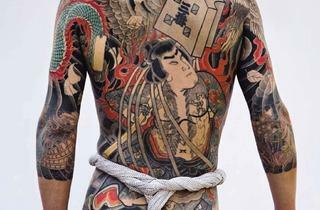 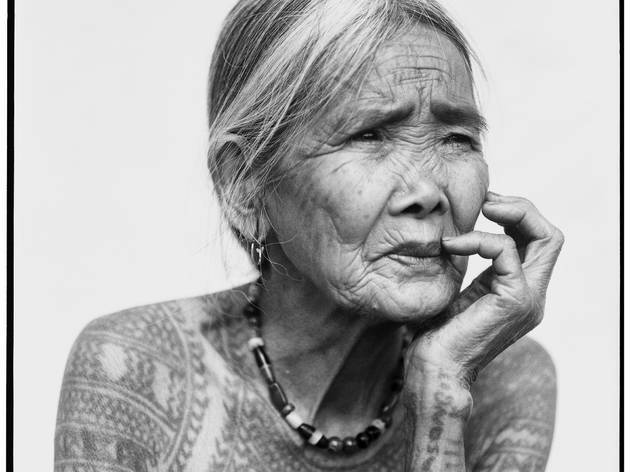 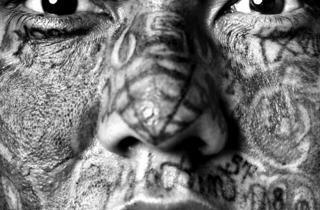 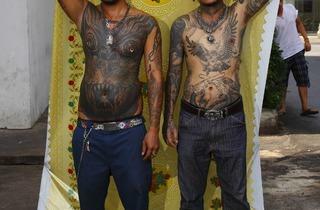 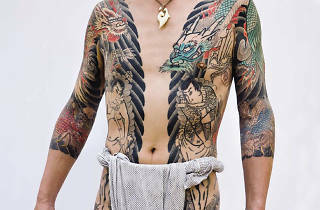 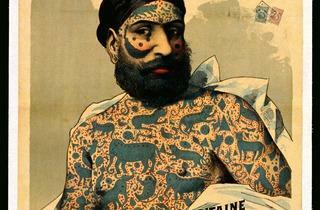 magazine are now bringing tattoos to the Musée du Quai Branly. 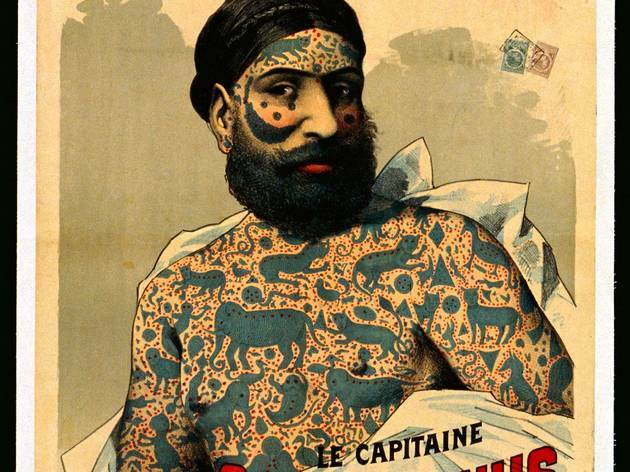 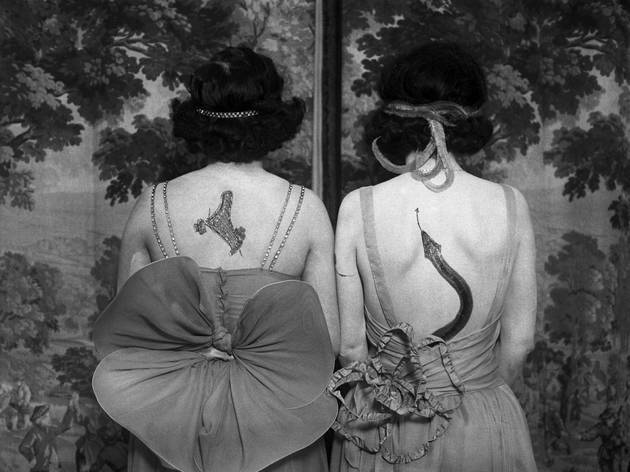 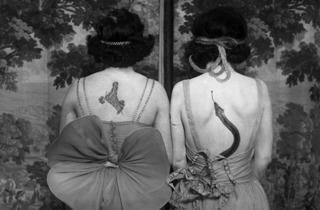 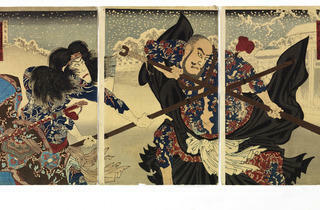 Covering vintage images and contemporary projects, the curators attempt to explore the evolution of body art through the ages, from its traditional mystical and social functions in Africa, Asia and Oceania to the mark of personal style and identity that it has become today in many urban centres. 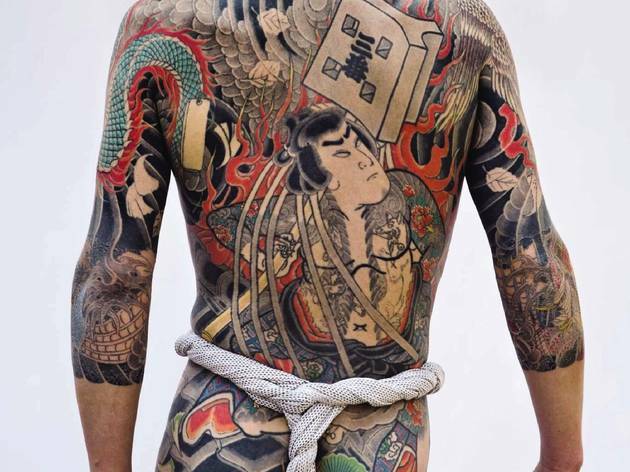 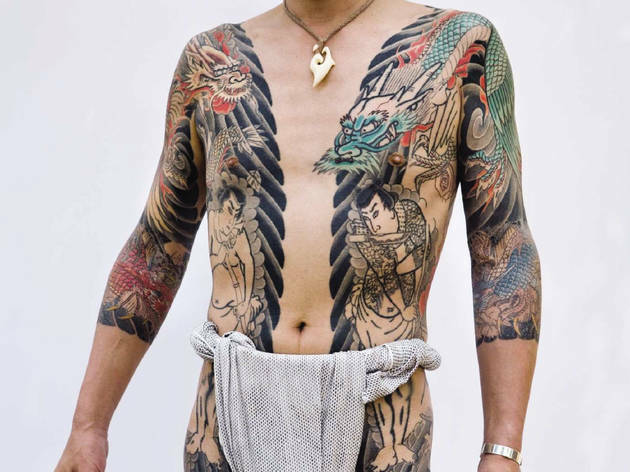 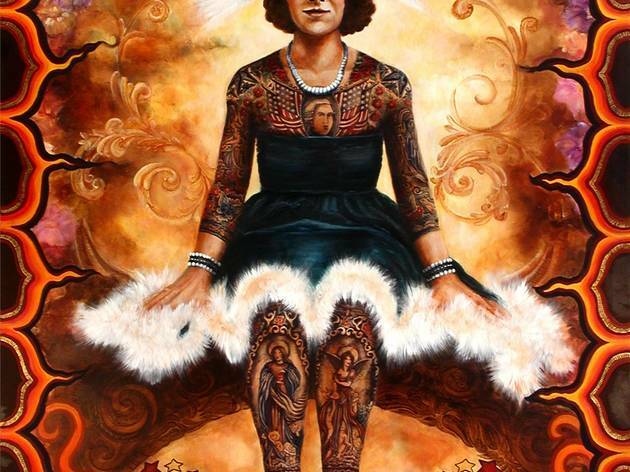 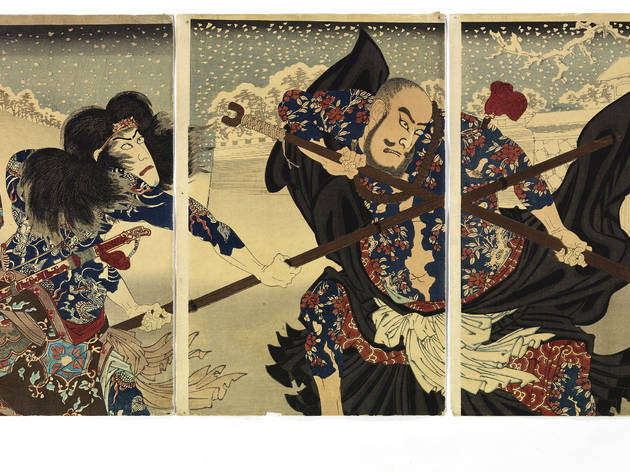 Using works created specially for the occasion, and emphasising the artistic aspect of the practice rather than its sociological or anthropological dimension, 'Tatouers, tatoués' should give a healthy boost to tattoo appreciation in the serious art world. 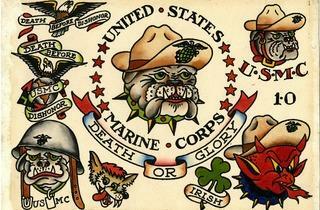 And quite right.